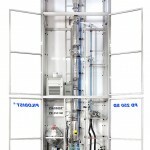 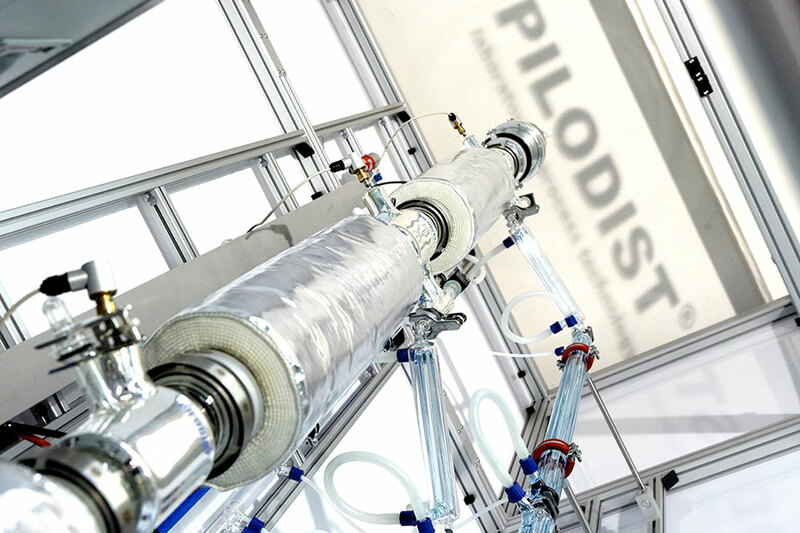 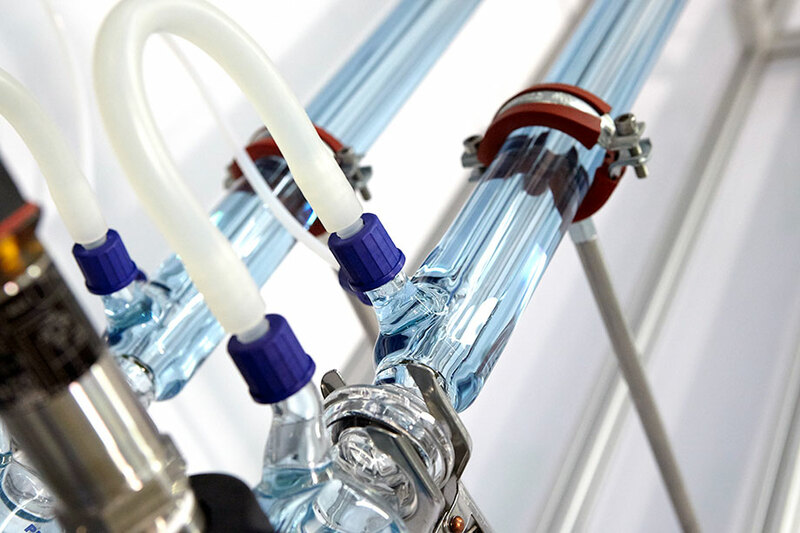 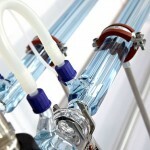 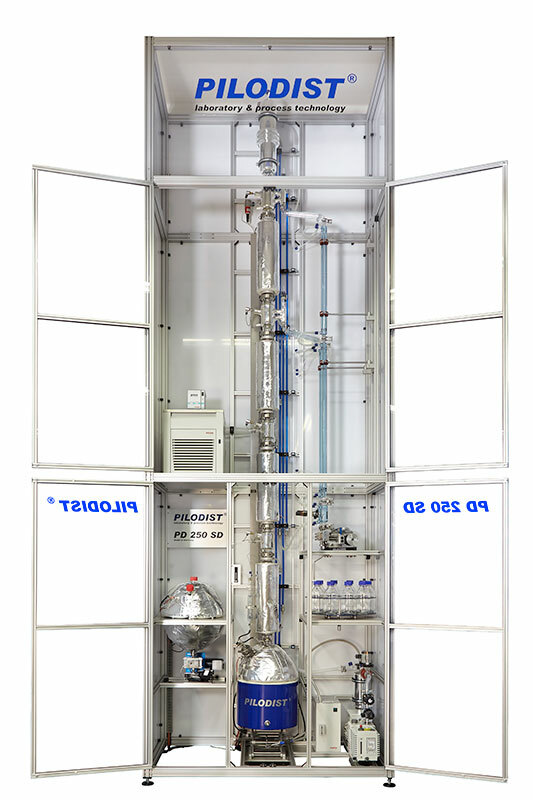 distillation columns with silvered high-vacuum mantle and packed with SULZER packing and additional electrical column heating mantles to ensure adiabatic operation. 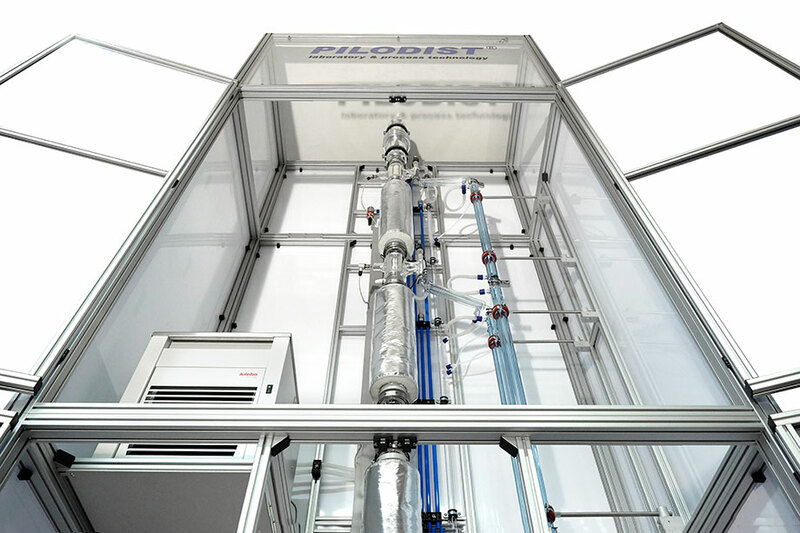 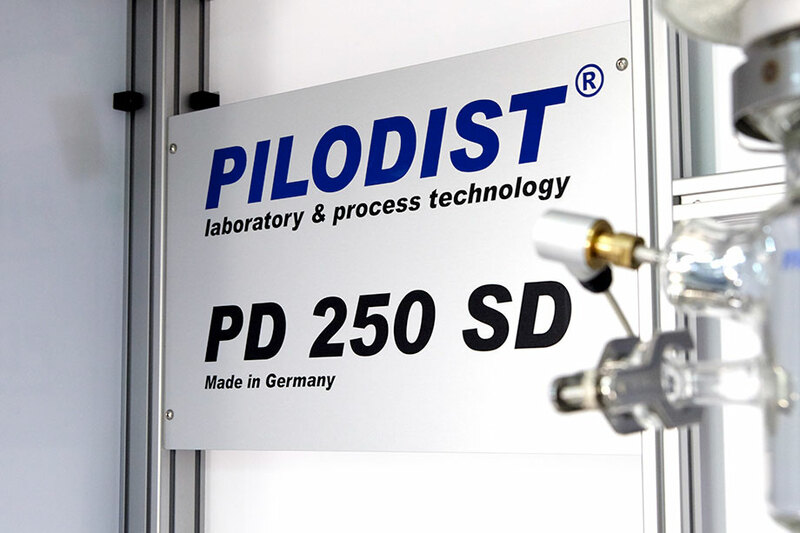 PILODIST 250 systems are designed by our engineering team according to specific customer needs to fulfill specific research or training projects. 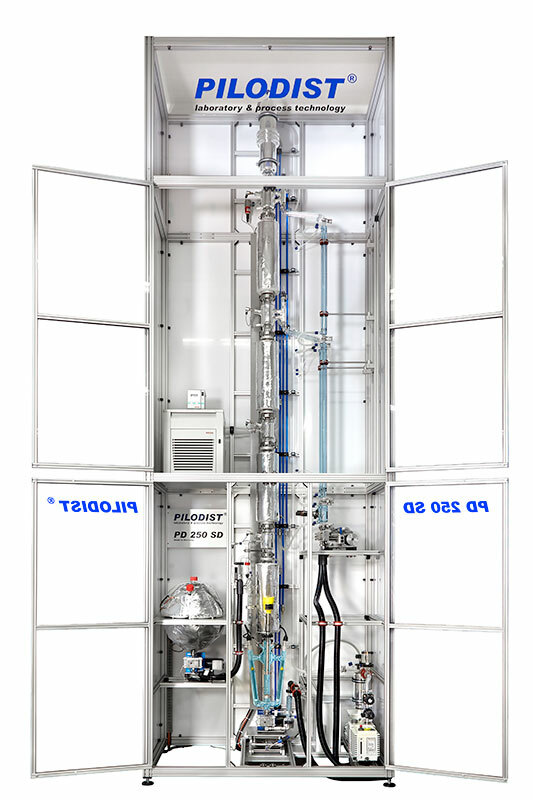 The variable includes the number of distillation columns, type and diameter of distillation column (bubble cap tray column or packed columns) for different throughputs, the number of feed and product take-off (discharge) points just to mention some criterias, all details being engineered depending on the job definition. 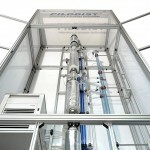 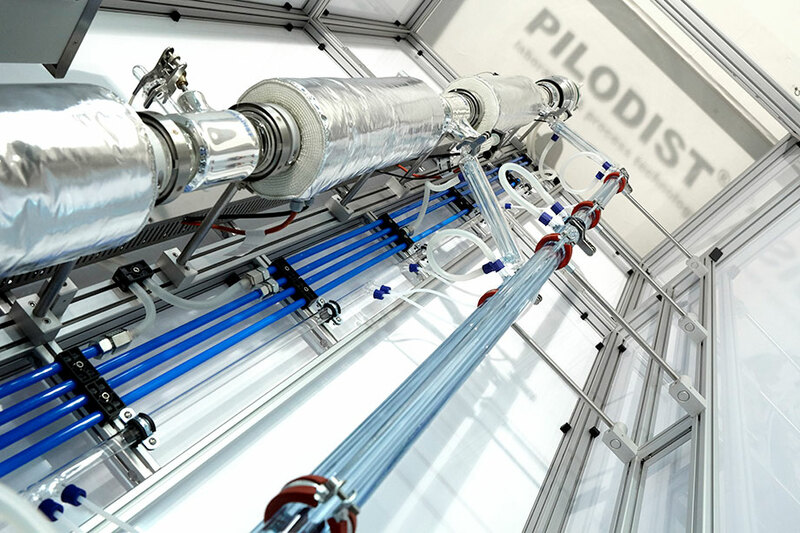 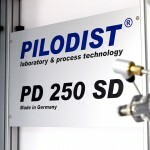 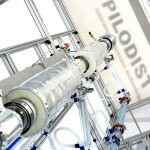 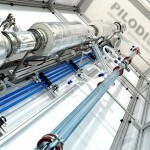 For further information contact info@pilodist.de, Phone +49 2225 955910 or fill out our Project inquiry.